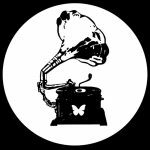 I’m very happy to introduce to you my own label called Nu Bohème Recordings. You can find the new label homepage on http://nuboheme.com. The first release on Nu Bohème Recordings is going to be Sound Nomaden’s Snowflake Single, released exclusive on beatport on march 28. and two weeks later on all major download stores. The single comes along with the Original Mix and the Album Mix feat. MSP. Watch out for what’s coming next!